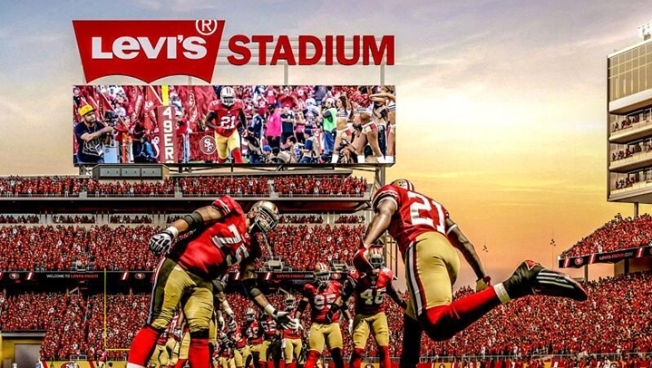 Pictured is the team's rendering of what the new Levi's Stadium sign will look like. News that Levi Strauss is getting the naming rights to the San Francisco 49ers' new stadium in Santa Clara has the Twittersphere buzzing. The new stadium will be named Levi's Stadium. Below is a sampling of some of the reaction to today's news.